Running barefoot in the winter is not about being crazy. Not for me, anyway. And not for most of the barefoot runners that I know. It’s about the enjoyment of running, and learning how to do that the best we can in spite of the elements. Yes, it involves some testing of the limits. There can be some fun in the discovery of that. Sometimes there can be pain. But in the end, it is all about the particular feel of running that is barefoot running. 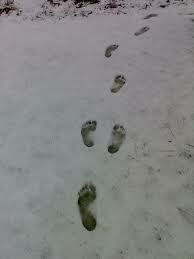 The first couple of years that I was going barefoot, I had not developed the ability to enjoy the colder temperatures. I say developed, knowing that in part my progress was affected by the overall adaptation of my feet, but also by my choices about when and where I tried to go barefoot. I was not up to running more than about 5 miles on a regular basis. When the conditions outside got below freezing, icy, and wet, I just put on my RunAMocs, not thinking I would ever consider doing otherwise. This year, I surprise myself by wanting to go barefoot in colder temperatures, going in and out of stores, going out to take care of chickens. From what I read, I still don’t “enjoy” the cold WET temperatures as much as some of my barefoot friends. Some of them have even been going barefoot a year less than me. Who really can say exactly what the variables are that motivate and enable them to try colder temperatures. I do know that some of it is how much time and distance is really spent outdoors, versus just going out to get the mail or walk to the car. So, while I am committed to the superiority of being barefoot whenever possible, and I see the horizons of those possibilities ever increasing, I am willing to be patient with myself because I am always moving forward with my own barefoot experience in my own circumstances. One of the forums that has helped me a lot is the Winter Challenge on the Barefoot Runners Society (Also, see the Stomp of Approval and link in the sidebar). Here you can find an array of people with experience in all conditions. There are runners in Canada, Minnesota, New York, Denmark, and Germany. Talk about frozen. Most of these people have helpful hints for handling the weather and having fun with it (and their dogs). Most of them have pushed the limits painfully enough to know how to caution winter newbies. There is no pressure. No one wants anyone else to hurt themselves. There is, however, jovial hazing since there is a “contest” between the countries for most barefoot miles. Last year, I only read some of the information. This year, I have “signed on.” The encouragement has helped me work through the apprehension I had after getting frost nip last winter dancing in a garage. The runs don’t have to be done below freezing to “count” in the contest. The air temperature just needs to be 40°F or below. I have a hunch that most miles I run will be in the category of 32° – 40°F. I am surprisingly comfortable with that, and so are all the other participants. In fact, that was one of the facts that led me to take part. I looked over the results from last year and saw that most people don’t spend too many miles barefoot at temperatures below that. It’s all about exchanging information and sharing our winter adventures. For the first time ever, this fall I have run up to 12 miles at a time with bare feet (skin to ground, as we say) in temperatures less than 40°F, but in dry conditions. It was fun and my feet were only slightly cold for the first couple of miles. With the guidance of the Winter Challenge group, I hope my adventures this year will all be positive. Winter running can be challenging at the best of times, with so many variables that have to be taken into consideration to make your run a success. You can spend more time just getting ready to make the venture outdoors than you actually spend running. This is not uncommon at all, and probably is one of the main factors why a substantial number of runners do not take the opportunity to partake in one of the most wonderful and rewarding running experiences. Being from Winnipeg, Manitoba Canada, I am a little partial to winter running. Because winter and colder temperatures are such a big part of my running year, I try to take full advantage of it. I know what you are thinking. Yes, winter running is challenging and can be down right difficult on so many levels, but it is also one of the most surreal running experiences you can undertake in your life. Picture running across a frozen landscape with a layer of hoarfrost on the trees, seeing your frosty breath expelling from your mouth as you work that little bit harder to push the limits. Suddenly, you spot a deer or another woodland creature watching you through the trees, their breath steaming as it hits the cold air before finally they turn and bound away. 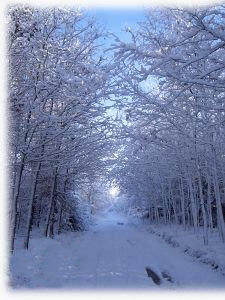 The peace and tranquil surroundings entice you in as you follow the snowy path beside a frozen creek. The sound of silence is broken by the sudden sound of water as you come across a break in the ice where the water cascades over the rocks. Beauty at its best, in my opinion. Winter running requires additional planning of course, not only in picking the right route for the day at hand, but also the right gear to ensure you get the perfect experience out of your running adventure. what the current and forecasted weather conditions are for the duration of the run. These are all very important and will allow you to plan your run accordingly, to ensure you have the proper attire. Finding the right combination of clothing for the task at hand is critical to ensure you get the most out of your run. Dressing with the incorrect amount and type of layering can either have you too cold or too warm (although being too warm can be dealt with easier than being too cold). This is a good link to give you a heads up on what you should be looking at for layering requirements, but don’t forget to experiment as well, as this would be a basic guideline, and everybody can and will be slightly different. Myself, the shoes withstanding, utilize a slightly modified version of this. I am not a big fan of fleece when I run because I overheat too quickly. I usually go with a Under Armor Cold Gear base (typically a turtle neck), with a tech shirt over top followed by my Solomon Acti Therm Jacket followed by a wind breaker or something similar. I do agree with the hat and the gloves both being very important, as the majority of your heat loss will be through your head and through your hands. If I keep them warm, as well as my core, I am good to go. Almost as important is that you let someone know what your plan is, in case you run into some trouble. Always, and I mean always, let someone know what you are doing when going out for a winter run, especially if you are planning a trail run. Getting lost in the woods or encountering a sudden winter storm is not something to take lightly. Another item of note: if you are planning a trail run in the winter, ensure you have some emergency gear with you, a survival kit just in case. Now I know most of you were probably curious about the barefoot running aspect of the post title. I did want to get some of the above out of the way before I dove into that. Whether you are adventurous, or some may say a little bit crazy, to try subfreezing barefoot running, a lot of the same rules apply, except the shoes are missing for at least part of the run. I will tell you that I run barefoot in the winter, and there are a number of others across the northern hemisphere that have taken up the challenge to see how far they can push their bodies as well. This does not mean that it is meant for everybody, nor can you just take off your shoes and go for a snowy 5 km run. That would be just plain stupid. Running barefoot in the winter is just like anything else. You have to work up to it. You have to prepare your feet for the temps and conditions, and most of all you have to know your limits. Think about lifting weights. Would you be able to go to a gym and just squat 200lbs out of the blue? I seriously doubt it. It is the same with running barefoot in the winter. You have to build up to it. You need to get your feet used to the reduction in temperature by slowly exposing them to the temperature drops. This can be best achieved by running barefoot as much as possible throughout the year and into the fall. Even short spurts of exposure will allow your skin and feet adapt to the exposure that they will be experiencing once the temps drop below freezing. This is my third year of running barefoot in the winter and unfortunately I cannot go without footwear all the time or I would get very little serious running in once the conditions turn. But I still get out there to log a mile or two barefoot when I can, because there is nothing like it, to push the boundaries that little bit to see how low you can go. It is interesting that people still have the same reactions as to any barefoot running. It’s either, “Who stole your shoes?” or “What mental facility did you break out of?” after they realize I am running that way on purpose. My friends think I am crazy as well, and I get questions all the time because people just want to know what type of person would put their feet through that? Well, the short and sweet of it is, me, that’s who. I am all about the experiences. Keep moving. Stop and the potential for your feet to freeze to the ground increases dramatically. Layer accordingly above your waist. If it is really cold, I use Hot Pockets (instant heat) against my midsection to keep my core nice and toasty. Good running pants are a must. Wear either tights or winter running gear like North face or Salomon (wind resistant) when it is really cold, because it is usually not the cold that gets you, it is the burn from the wind, which will freeze your upper legs. A good kilt works to. I have ran in a kilt in weather down to -30 degrees with no issues on the lower legs. This may seem strange, but have something covering your ankles. I use wrist bands to cover them because when they are bare my feet seem to get colder quicker. I personally think it is because the ankle bone is so close to the skin surface and when there is less covering, the cold gets into the bones and works its way down to the feet. When the ankles are covered and warm, my feet just seem to stay warm so much better. But the most important thing is to know your limits and do not push it beyond that. Otherwise, there is potential of doing some significant damage. As soon as you cannot feel the ground, stop and get something on your feet, because numb feet are dumb feet. Don’t take chances, because you only have two feet to work with. Other than that get out there and have some fun, and give those silly shod runners something to talk about. Other reading material you may enjoy are a few articles that I have contributed to in the past on Winter Barefoot Running which include this one that was published in IRUN Magazine, and one I wrote with the help of a few other notable members of the Barefoot Running Society called the Winter Barefoot Running Challenge. 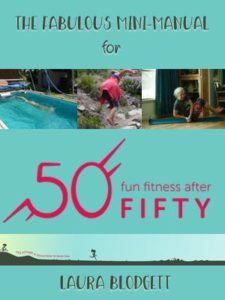 I hope this might pique your interest into trying something a little more unorthodox, as well as fun, like winter running, even if it is in shoes, because you just don’t know what you are missing until you give it a try.